What is HomeoPet Anxiety Relief? 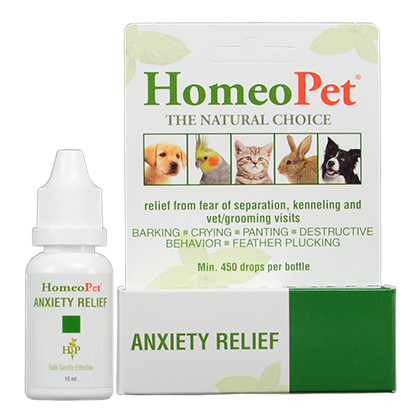 HomeoPet Anxiety Relief is a safe and natural homeopathic liquid given to your pet to promote calmness. It helps with anxiousness associated with separation, travel, loud noises, veterinarian or groomer visits, or any other stressful situation. 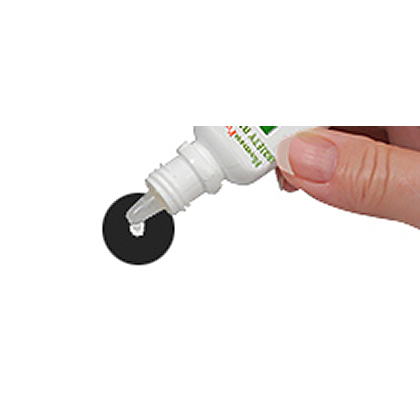 An eyedropper is included for dosing. Aconitum Napellus, Argentum Nitricum, Arsencium Album, Avena Sativa, Calcarea Phosphorica, Causticum, Gelemium, Hyoscyamus, Ignatia, Lycopodium, Natrum Carbonicum, Passiflora, Phosphorus, Pulsatilla Nuttaliana, Scutellaria Laterifola, Silica Terra, Staphysagria, Stramonium, Valeriana. Fretting, fear, anxious and unwanted behavior from thunderstorms, travel, being left alone, vet and grooming visits, can be helped with this fast acting, non-sedating liquid. Nature's gentle stress reliever quickly promotes a sense of calm. HomeoPet Anxiety is a non-prescription (OTC) product. HomeoPet Anxiety Relief is a safe and natural homeopathic liquid given to calm your pet. HomeoPet Anxiety Relief promotes a sense of calm in pets exhibiting fear, fretting, or anxious or unwanted behavior during traveling, grooming, thunderstorms, or separation. *All pets under 1 lb should be dosed by putting 1 or 2 drops in drinking water once a day.